The Pakistan Prime Minister's son had said earlier that he wanted to appear before the JIT in the presence of his lawyer. Pakistan PM Nawaz Sharif has been accused of money laundering in the 1990s. Islamabad: Pakistan Prime Minister Nawaz Sharif's son Hussain Nawaz appeared before the Joint Investigation Team (JIT) in connection with the Panama Papers probe into the family’s assets, Pakistan media reported on Monday. Headed by Federal Investigation Agency (FIA) additional director General Wajid Zia, the JIT grilled Hussain Nawaz on Sunday for about two-and-half hours at the Federal Judicial Academy (FJA) in Islamabad, Dawn news reported. Though he has raised objections against two of the six JIT members, which will be taken up by the Supreme Court on Monday, Hussain Nawaz told the media that since the court had not issued a restraining order, he had complied with the team's directions and preferred to appear before it in person. "I received a notice from the JIT yesterday (Saturday) and was asked to appear on May 28," he said. The JIT was formed by the Pakistan Supreme Court last month for the implementation of the Panama leaks verdict which said there was not enough evidence to disqualify Nawaz Sharif. However, in a 3-2 judgement, the court ordered a fresh probe into allegations of financial irregularities and money laundering against Mr Sharif. But sources told Dawn news that the JIT did not allow a counsel to assist Hussain Nawaz during his interview and asked him to first seek permission from the court. Along with the Nawaz Sharif, the court also cleared his daughter Maryam Nawaz in the Panama Papers case. Last year's Panama Papers leaks, which documented the offshore dealings of many of the world's rich and powerful, alleged that Maryam was the beneficiary owner of the London properties owned jointly by her brothers as well. 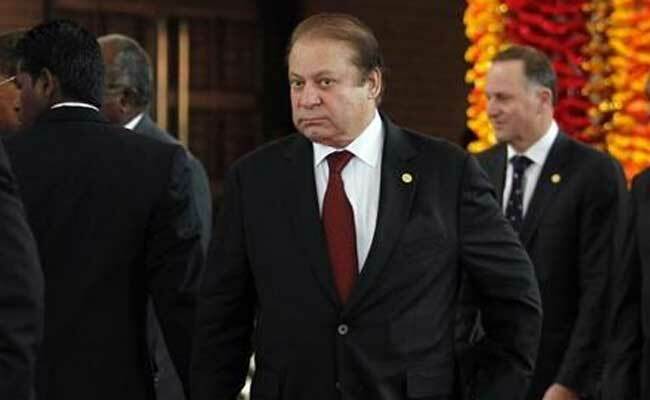 Nawaz Sharif's Daughter Meets Him In Jail, Tweets He "Remains Unwell"